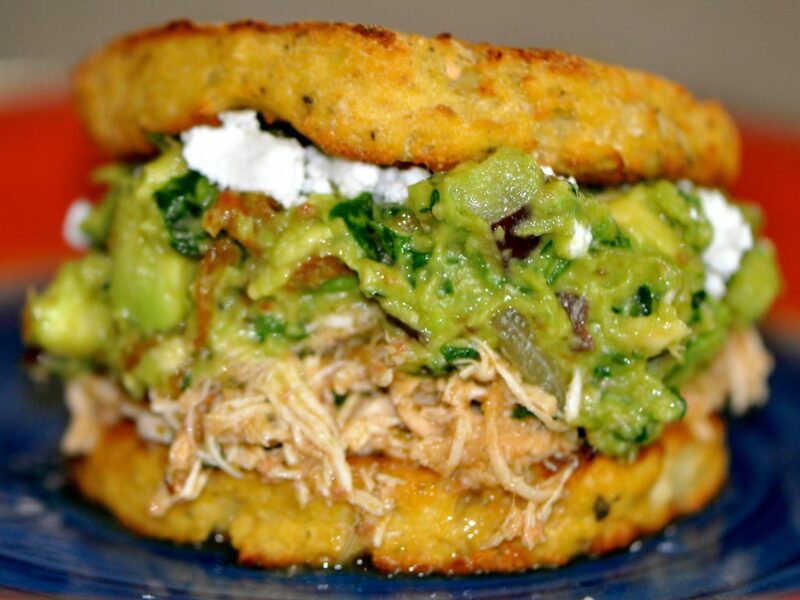 Eating these cauliflower buns with my slow cooked chicken and guacamole was HEAVENLY! The only downfall was that I did not make more because they were gobbled up way too fast. 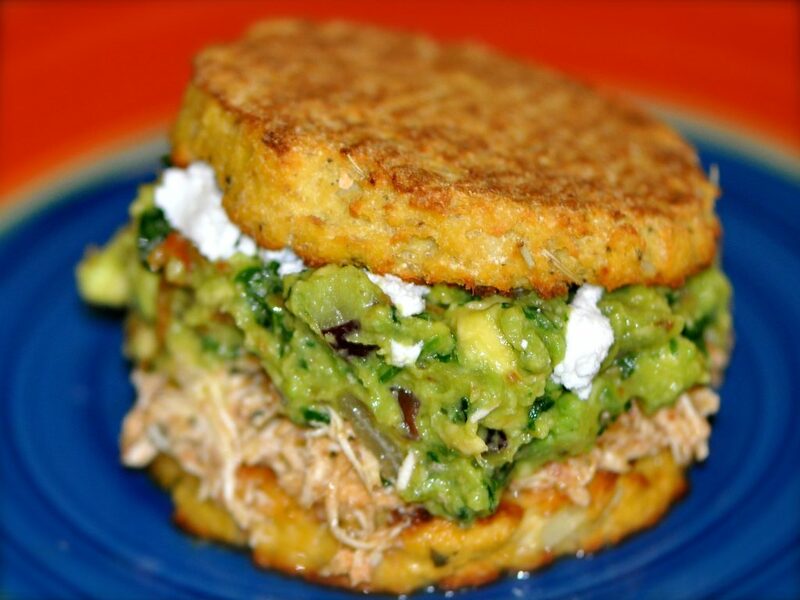 These make for a great alternative to your hamburger buns. They are easy to make with very few ingredients. This recipe is yet just another one of the many amazing things you can make with cauliflower. Cut the cauliflower heads off and place in food processor until it turns into a rice like substance. Place cauliflower rice in glass bowl, cover with thin towel and microwave for 8-10 minutes until tender. Cool cauliflower on thin towel, once it has cooled, ring out AS MUCH water as you can. The more water you get out, the less mushy the buns will be. Mix all of the ingredients in large bowl. 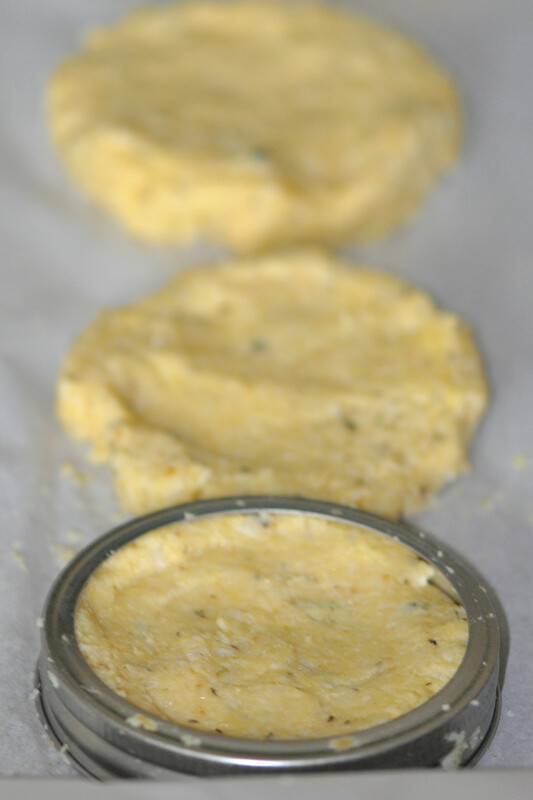 Shape into circles onto a well oiled cookie sheet or parchment paper. I used a Mason Jar lid to shape the circles. Cook for 15-18 minutes then flip the buns and cook another 15-18 minutes. You want the edges to be golden brown.